Dave Grohl, the warmhearted drummer, has played with every band imaginable. He turned the rock world on its head as a member of the grunge group Nirvana and as the singer/guitarist/songwriter for the incredible rock band the Foo Fighters. What is left for the man who has done everything? Dancing in a broadway show. “I have a little time off this summer between shows. Broadway has been something I’ve wanted to do since I was a young grunge rocker turning the rock world on its head in Nirvana. In fact I was set to move to New York when the whole grunge thing took off. My plans got put on hold. I figure it’s now or never. Taylor (Hawkins of the Foo Fighters) has been helping me. We spend eight hours a day, every day, watching YouTube clips of professional dancing. It’s exhausting but rewarding. I know so much more about the craft. It’s a way to get away from the fast lane life of the Foo Fighters, Them Crooked Vultures, the band with Lemmy, sitting in with Rush, Queen, Kiss, Van Halen, Celine Dion, the Backstreet Boys, Tom Jones, Lourde, Dexie’s Midnight Runners, Pat Benetar, Pat Boone, Juice Newton, Barbra Mandrell, Gwar and Sheena Easton. Jack Cummings, the original and current producer says, “Dave knows what he wants, and he wanted to play all seven brothers! 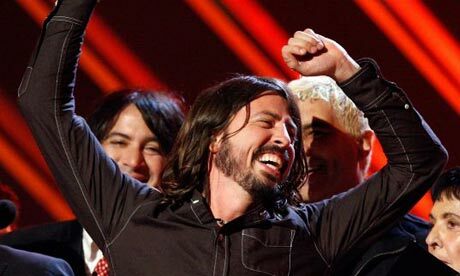 Jack admits there have been problems working with Grohl. “Dave and I are so alike but we sometimes have different opinions. I would have liked to of hired six more actors as the other brothers, but Dave insists on playing all the parts himself. So we compromised and did it Dave’s way. After all he was in Nirvana. 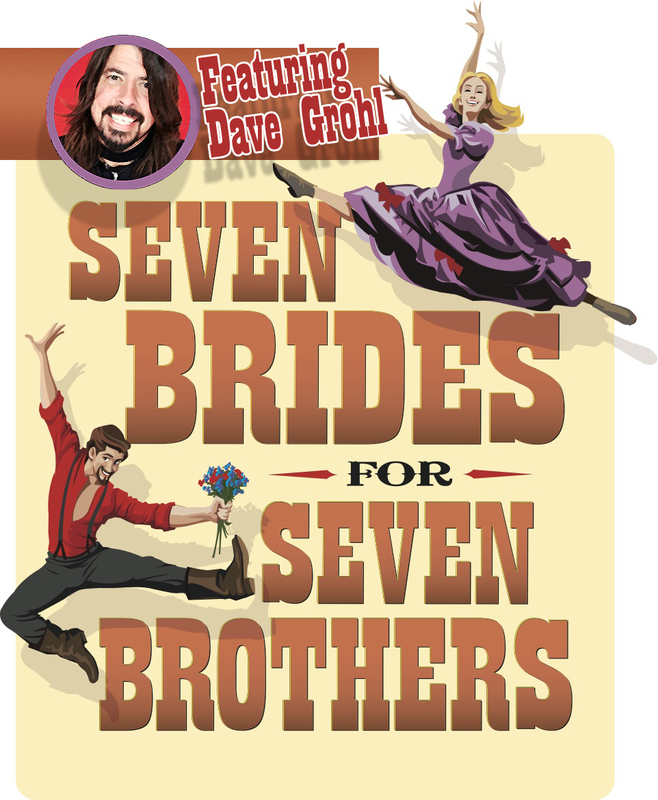 The Revival of Seven Brides for Seven Brothers feat. Dave Grohl is set to open mid-July. And I have an album with some good tunes. Pick one up! Tags: acting, actor, Broadway, celebrity, dancing, Dave Grohl, drums, foo Fighters, Kurt Cobain, music, Nirvana, no more dave grohl, revival, seven brides for seven brothers. Bookmark the permalink.